Lynne McVey, MSc Nursing, is a clinician, manager and healthcare leader. 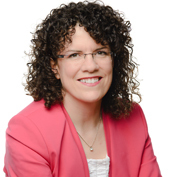 She is an Associate Professor of Nursing and Psychiatry at McGill University and Head of Professional Education in the Department of Health Administration at the University of Montreal. She has held senior management positions in the Quebec health and social services network for more than 15 years. Since 2015, she has been an active participant in the reform of Quebec’s health and social services network. She is known for her patient-centered approach, her advocacy on behalf of vulnerable populations and her interdisciplinary leadership. She has an impressive track record in improving patient care and promoting research, particularly in cancer and mental health.